Figure 4-16. Ocean Cargo Manifest Summary, SS Lytle. Home > Transportation Reference and Training Manuals > > Figure 4-16. Ocean Cargo Manifest Summary, SS Lytle. 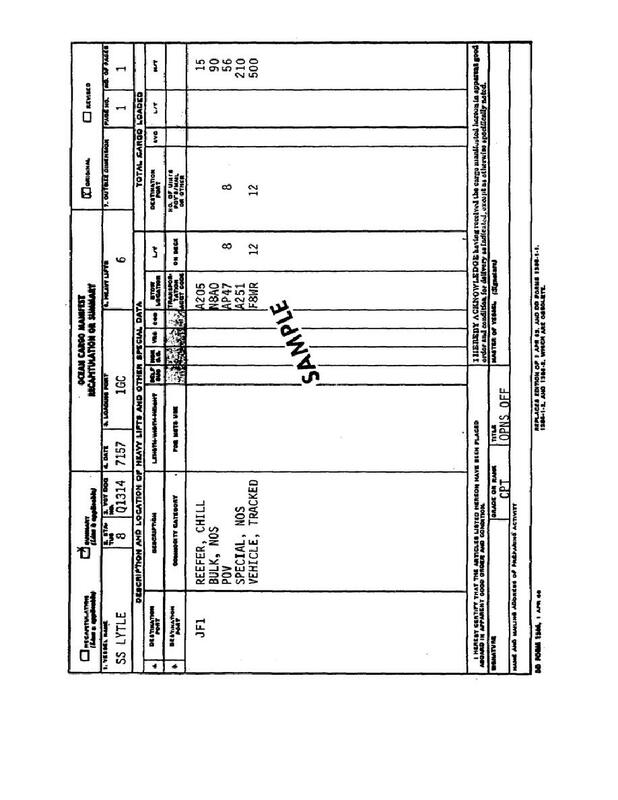 Ocean Cargo Manifest Summary, SS Lytle.